Solar Panel Installation Cache: Can Your Solar Panels Charge Your Electric Car? Can Your Solar Panels Charge Your Electric Car? Recent developments and advancements in electric car technology, thanks to firms like Tesla, have made electric cars a viable form of transportation for people all over the country, including Cache and other towns in Utah. For homeowners looking to cut out fossil fuels entirely from their life, they might wonder if a solar panel system can charge their electric car, as well as power their home. This is a question that we at Gardner Energy are getting asked more and more, so we thought we’d put together a quick blog post that answers it! Can Your Solar Panels Charge An Electric Car? The short answer is yes. Like the other parts of your home that rely on electric power to function, your solar panel system will provide your electric car with all of the power it needs to fully charge. In fact, even many smaller solar panel arrays produce enough energy to charge an electric car battery. If you’re working with Gardner Energy and our solar panel installation services to put a new solar system in your home, you’ll need to consider how much energy your home appliances and your electric car will use. Similarly, if you already have a solar panel system and will be buying an electric car, your existing system may need to be expanded. You can get a sense of how much energy your car requires by looking at the number of kilowatt-hours it needs to drive 100 miles. If you don’t already know the KWh needs of your vehicle, you can use this handy guide from the U.S. government’s source for fuel economy information. You can use this information to estimate how much additional energy you’ll need from your solar panel system. If it’s more than your current system can handle, it may be time to expand your system. Install inverters that can handle more: Each solar panel system feeds its energy through a string inverter. If you know you’ll need to expand your solar panel system for a new electric car or an additional electric car, work with the solar panel installation team to setup multiple string inverters or multiple sets of inverters. This will ensure that your system can handle the energy capacity of additional solar panels. Install an additional, smaller solar panel system: Provided you have the space on your roof or property, you could power your car via its own dedicated solar power system. Not only will you always have enough energy for your home and your vehicle, in many cases, you can claim an additional renewable energy tax credit, which can help you pay off that electric car loan. 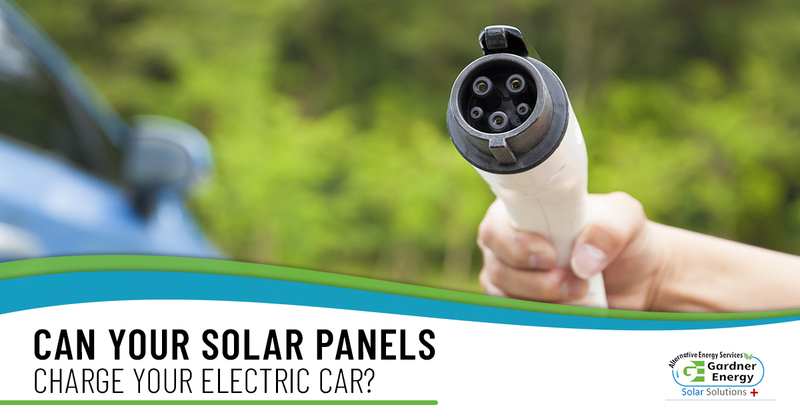 Powering your electric car through your solar panel system is easier than you might realize. If you have questions about your Morgan home’s current solar system or are in need of solar panel installation services to expand your existing array, contact Gardner Energy now!